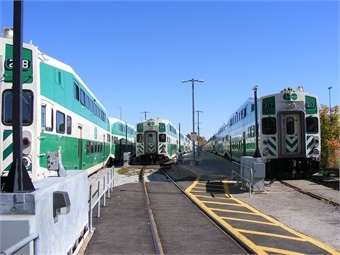 TORONTO — The Metrolinx commuter rail system launched a new Twitter service for all seven GO Transit lines to help passengers track their ride, CBC News reports. While the new Twitter accounts will focus on specific delays for each train line, commuters will still have to check the main @GOTransit account for messages affecting the entire system, such as a snow alert or severe weather warnings. Aldershot 8:36 - Union 9:46 #GOtrain - 2 less coaches today due to an earlier equipment problem. Please adjust where you stand to board. The tweets are only offered in English for now, but French will be provided soon.For the full story, click here.